Are Custom Orthotics Worth the Cost? You've seen or at least heard of "cure all" shoe inserts from famous name brands, but these devices aren't all they're cracked up to be. Making claims such as guaranteed all day comfort may be true, but they fall short of actually treating the needs of your feet. Before reaching for a pair of these types of insoles found in your local supermarket, take a closer look into the tried and true world of custom orthotics. You're probably reading this because you've been experiencing pain and discomfort in your feet. Perhaps your feet ache the moment you step out of bed every morning or maybe your job requires you to stand all day—this may be the result of a structural problem. From plantar fasciitis, high or low arches, tired tendons, and even misaligned toes, our supportive inserts can bring you relief. More often than not, simply changing your shoes and purchasing over-the-counter liners fail to produce results. Custom orthotics prescribed by your podiatrist will help to correct the underlying problem. An orthotic is a custom device that works to correct and treat skeletal or muscular deformities of the feet and ankles, while also improving their function. Much of the pain you're feeling is due to abnormal bone structure that forces unnecessary weight to be placed on the wrong areas of your feet. A custom insert can treat this abnormality by redistributing your weight equally and properly. Redistribution of weight will help to relieve pressure and provide your foundation with appropriate support and cushion. When your body experiences unequal distribution, you're likely to wear down and potentially tear tendons and damage your skin and bones. 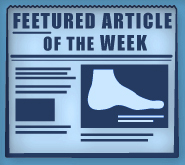 The experts at Foot Doctor of the East Bay specialize in custom orthotics. Our doctors will examine your feet, observe your walking patterns, and study your current pair of shoes to see which areas are causing you pain. From there, we will take measurements of each foot in order to make a mold of your foot structure. Once sent to the lab, a pair of inserts that are unique to your feet and your specific needs will be produced and sent back. Can Custom Shoe Inserts Help Me? From avid runners, nurses and factory workers who spend an ample amount of time on their lower limbs every day, to individuals who suffer from plantar fasciitis or collapsed arches, you may reap the benefits of custom orthotics. We will provide instructions for use and ease your feet into this new environment. After all, a structural foot problem needs to be gradually introduced to the corrective adjustments. If you think orthotics could help you, we'd love to help! Depending on your condition or foot problem, we'll find the most effective treatment plan. Contact Dr. Michael Stein and Zeindelin Ahmad, DPM, today to schedule your appointment. Call one of our three locations in San Leandro, Pleasanton, or Los Gatos, CA. Bring your foot problems to us and you'll leave with a smile on your face.